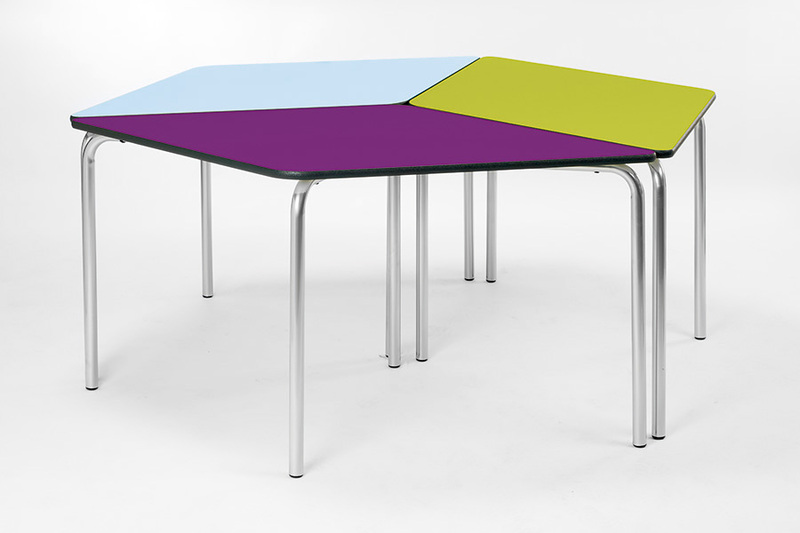 The Equation jewel table comes in a set of 2 and can be used individually or you can use multiple tables to create different configurations, including star, diamond and zig zag. The tables are available in a range of heights to suit children from 3-14+ years, making the jewel table ideal for use within pre-schools, nurseries and schools. The classroom tables feature a 32mm round steel frame with a resilient, high pressure 25mm thick table top. 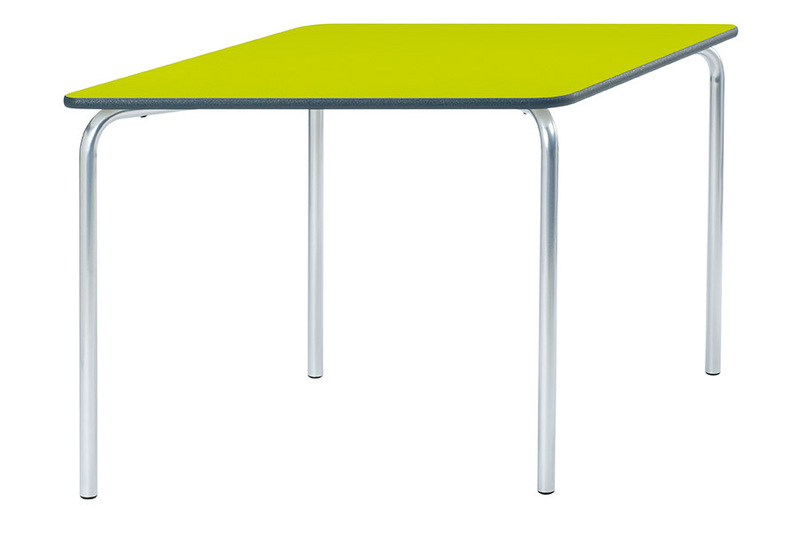 The laminated table top is available in a choice of 11 colours. Each Equation jewel classroom desk has a durable textured spray PU edging, designed to withstand daily use, and available in a choice of 3 colours - blue, light grey or charcoal. 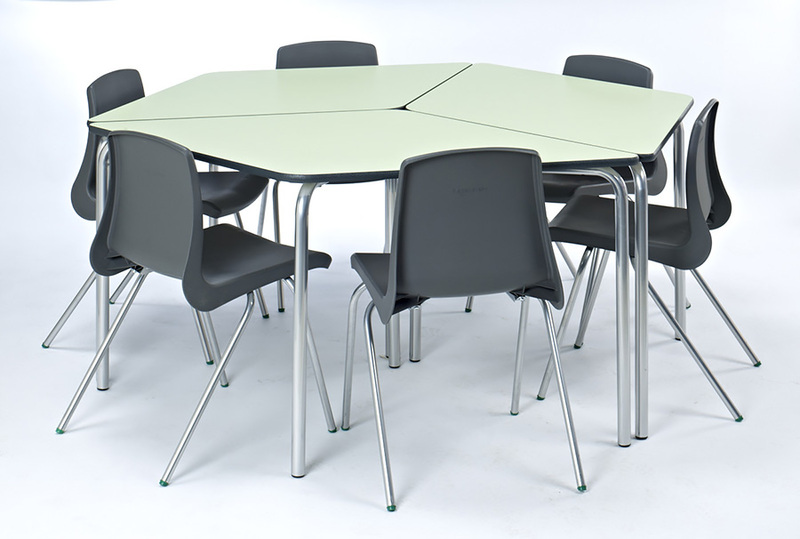 The tables have height adjustable feet to ensure stability as well as tamper-proof screw fixings which are ideal for educational environments. 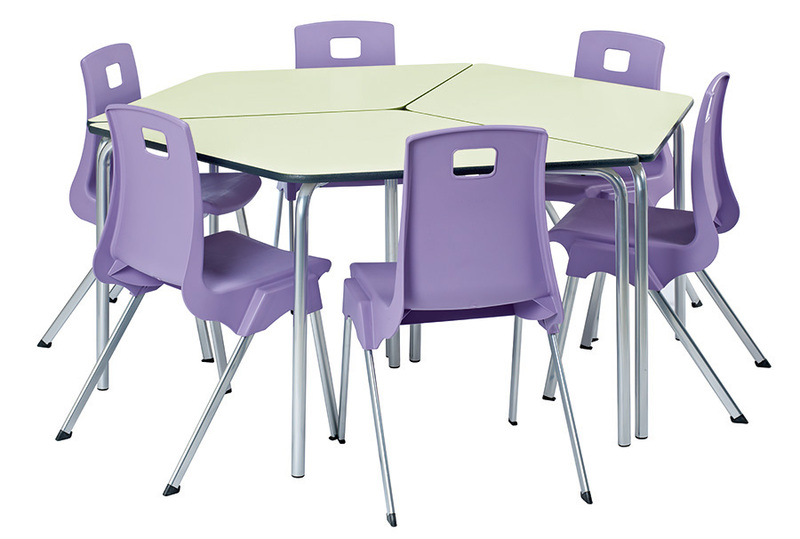 All Equation classroom tables include a 10 year guarantee. Also available in the Equation table range are the Rectangular, Square, Trapezoidal, Circular, Semi-Circular and Arc tables. For a different modular solution we also offer the Equation Leaf tables which fit together to create a range of interesting shape combinations.